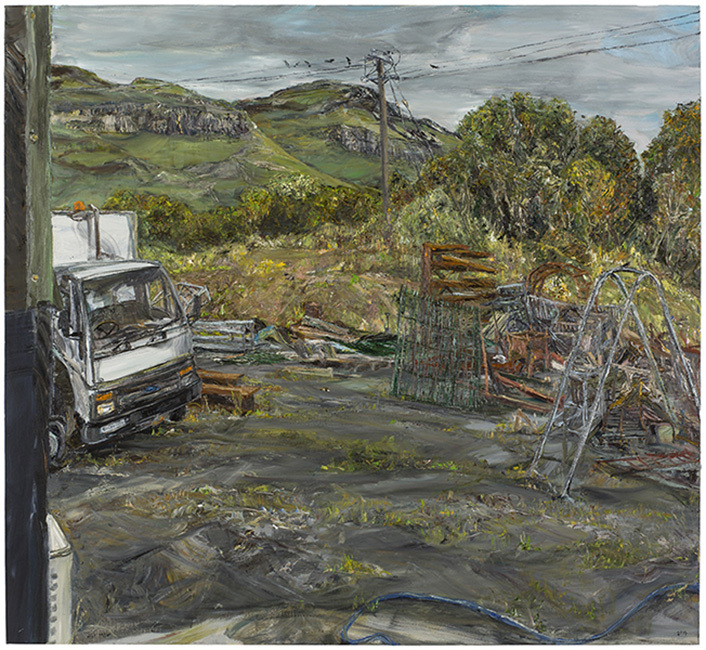 Nick Miller’s landscapes painted from his mobile studio have been shown across the world to critical acclaim. 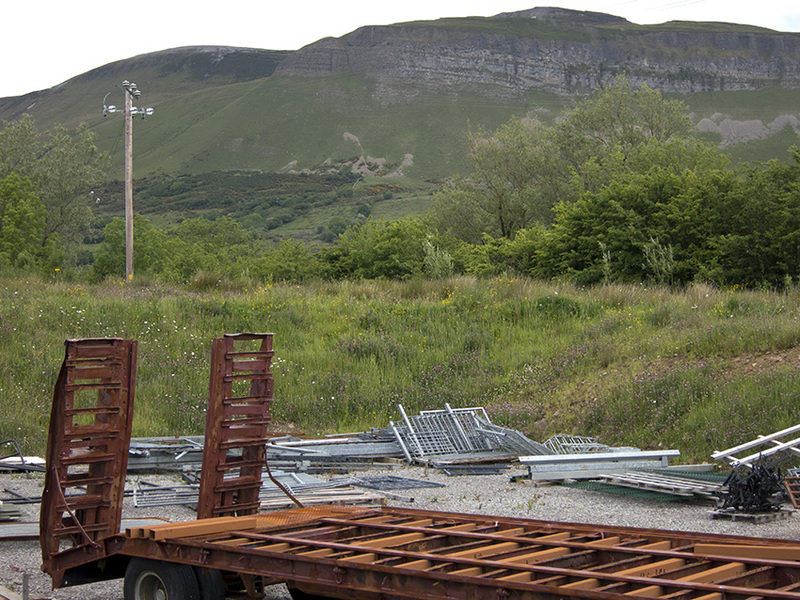 The truck from which they are painted now sits immobile in what may be it’s final resting place; a steel yard at the back of his current studio, in the lee of the imposing and iconic mountain, Ben Bulben, in Co Sligo. 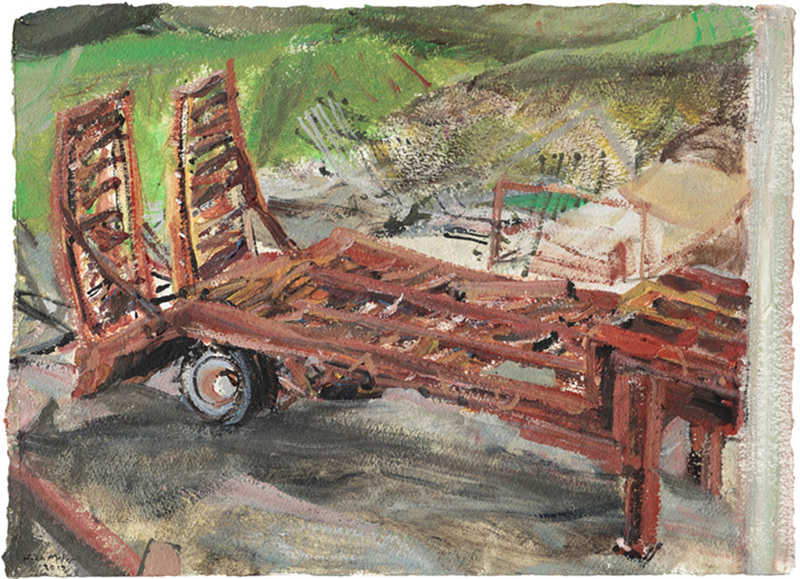 Since moving to this studio in 2007, Miller has repeatedly returned to and painted this final ‘truck view’. 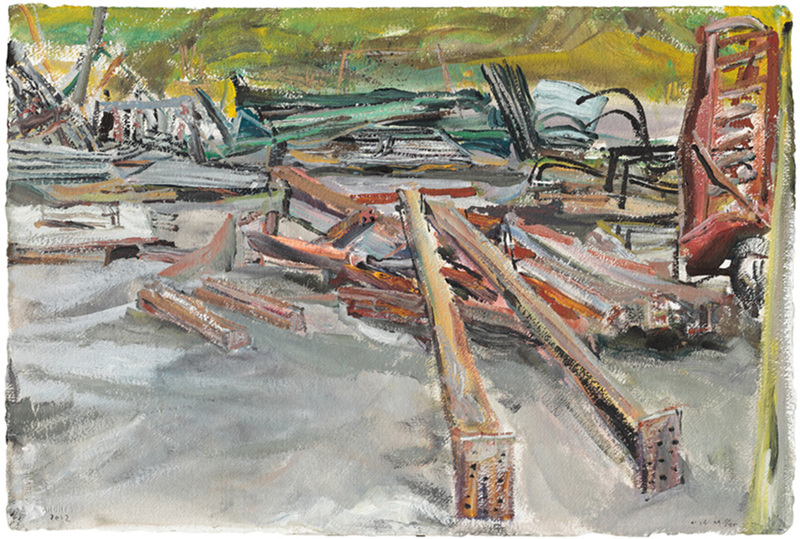 This show centres on a selection of new and unseen works that are focused on the mountain, the yard and the metal that lies in the foreground. 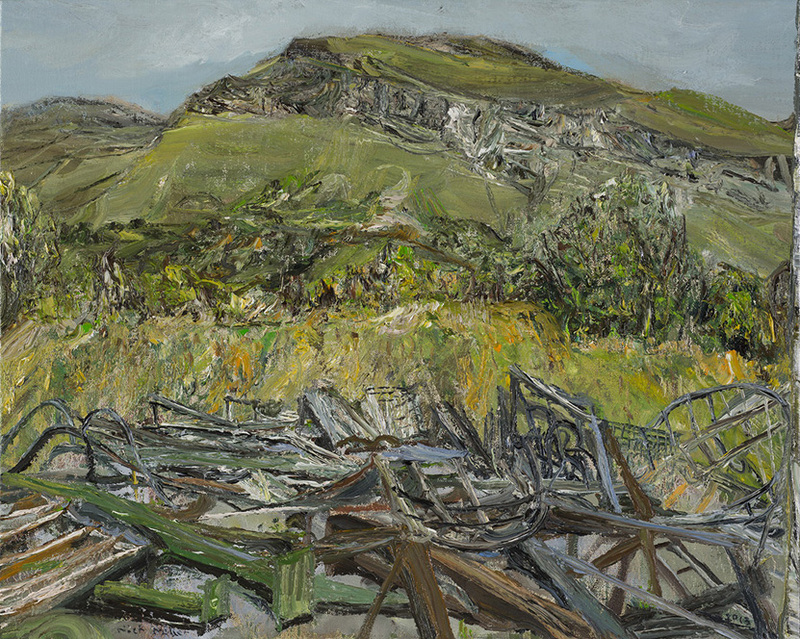 In the contrast between metal and nature in Miller’s work, we are really confronted with wider questions of our relationship between Culture and Nature. The repeated cycles of life, growth and death are closer to real permanence than metal or machine. 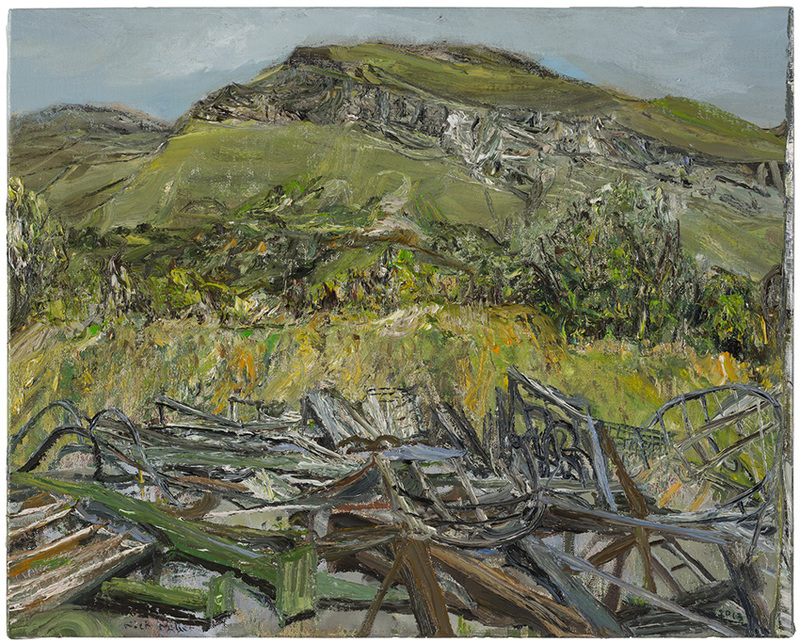 Beauty is found equally in the rusting man-made remnants of human construction, and in the rising mountain landscape of Ben Bulben. But in Miller’s work the pervading intensity of the natural world seems always to hold dominance over our temporary endeavours. 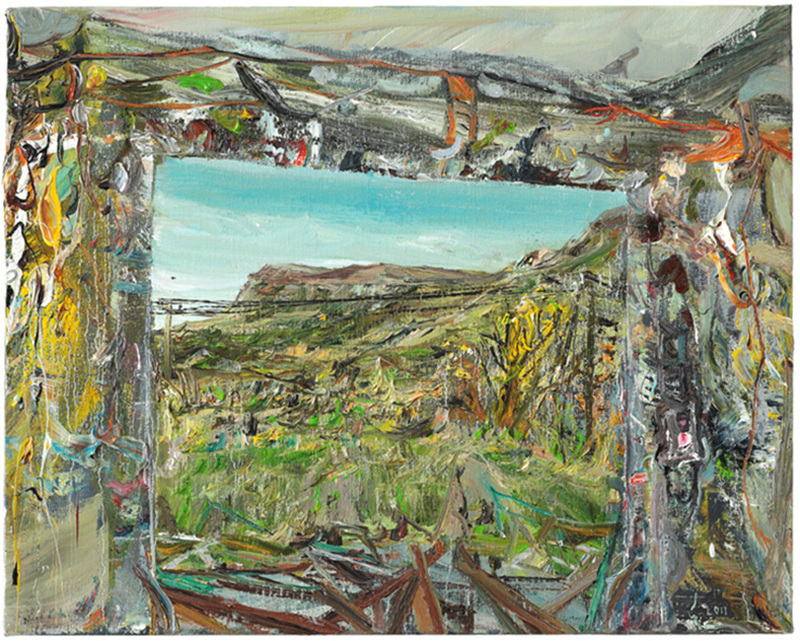 We sense from the paintings, that whatever we do or try to do, it will, given time, be re-absorbed by the natural world. 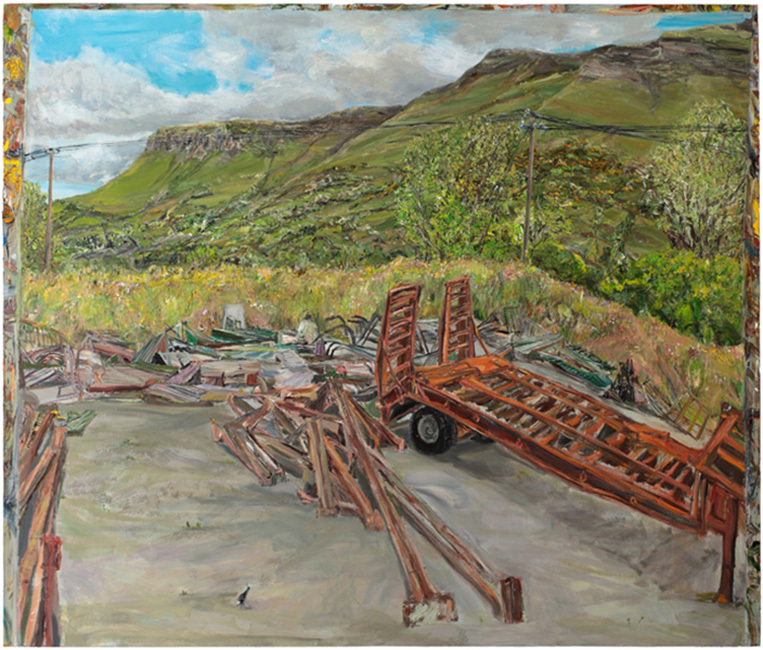 Miller likens landscape to portraiture, and is consumed with the demands of addressing present reality, rather than something abstract. 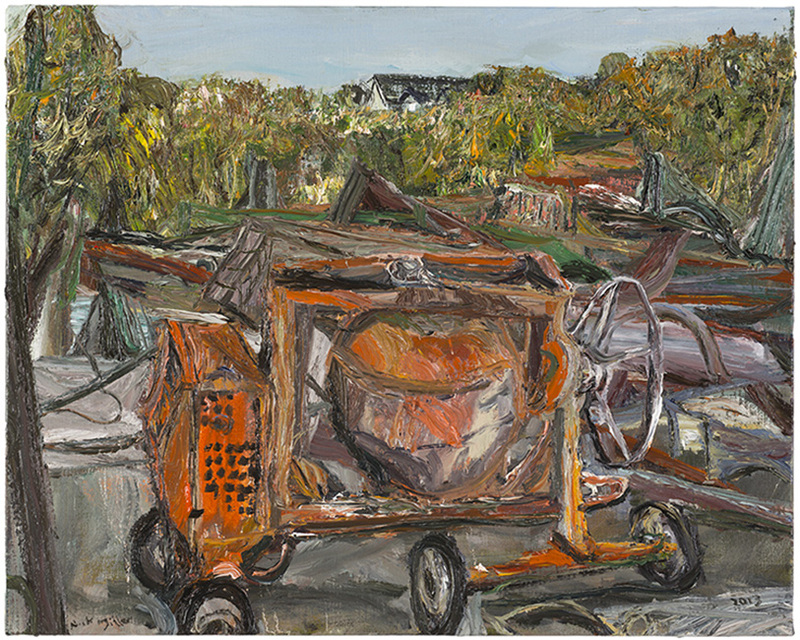 His work with landscape feeds off the intensity and immediacy of encountering the world at close quarters, and attempts to hold the urgency of that connection in paint. 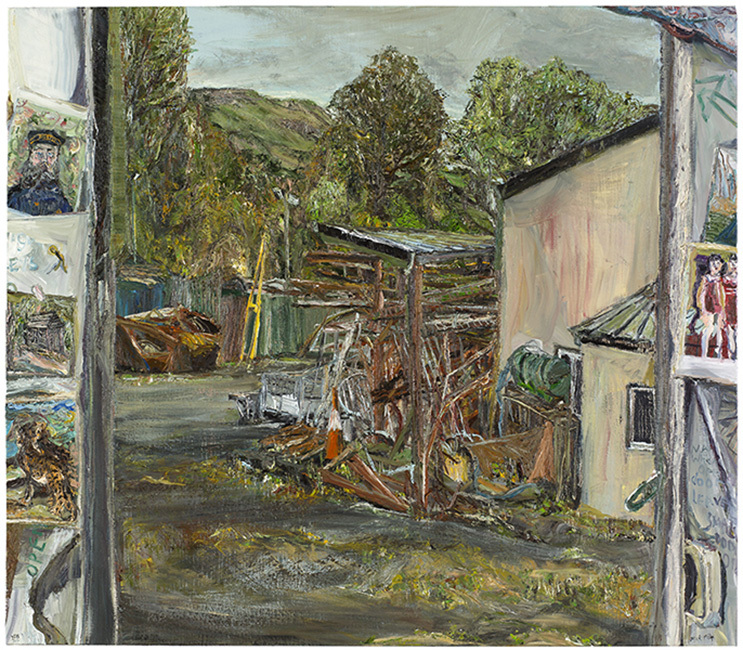 These new works continue the subject of the studio environs, a rural steel yard in Co Sligo. 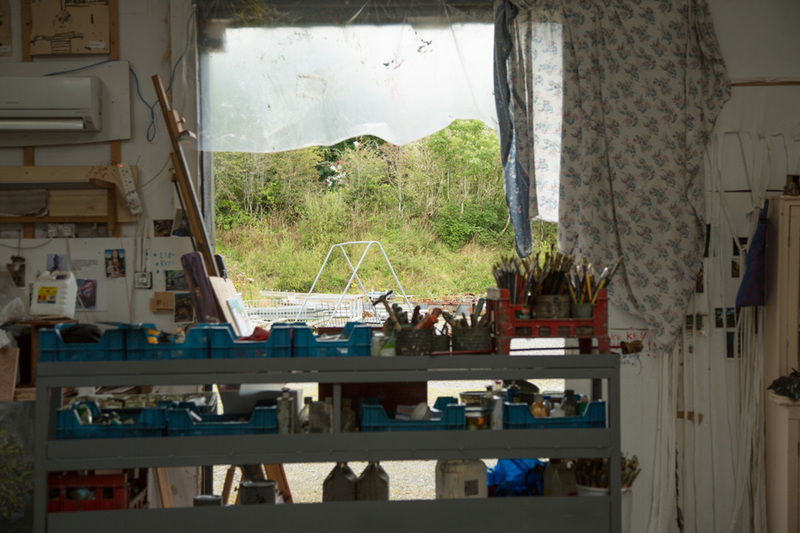 These paintings are made from the viewpoint of the studio door/loading bay rather than in the mobile studio. 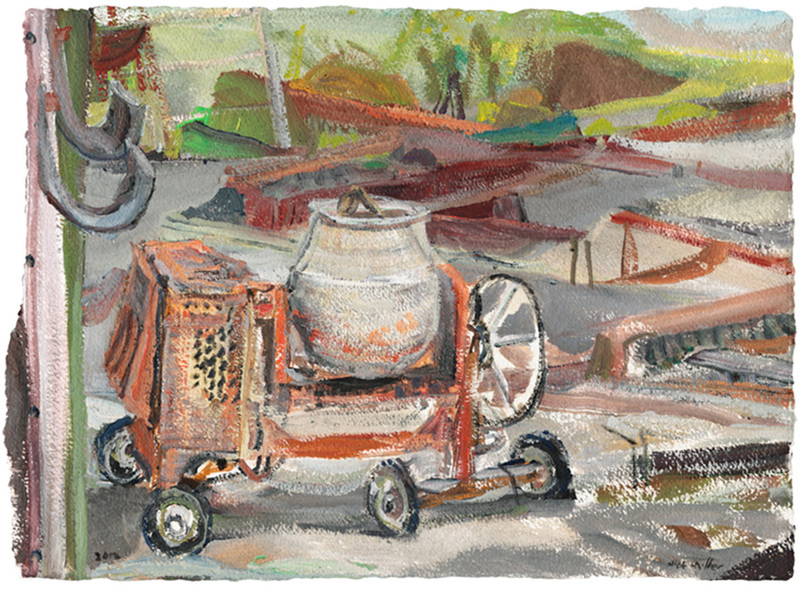 In Steel Yard, Truck and birds, the truck itself becomes subject. 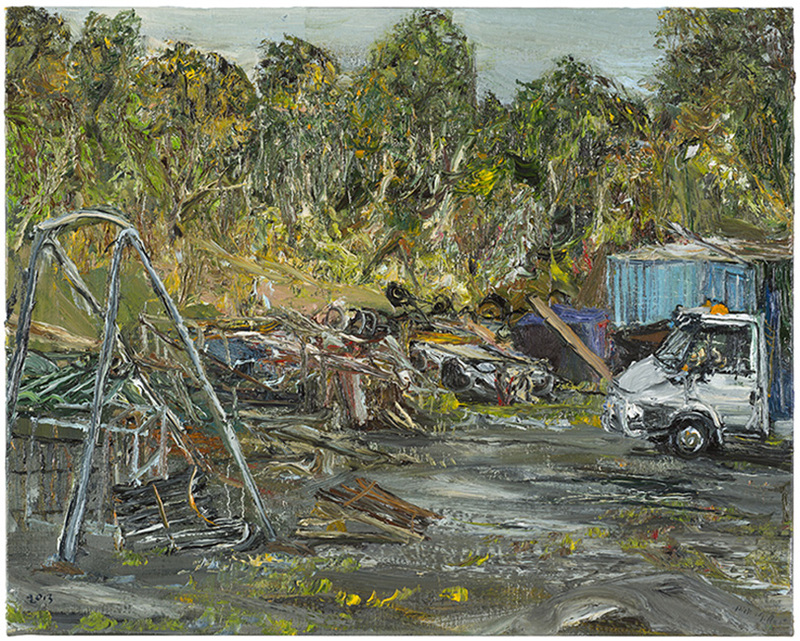 WINTER SUN 29 November 2013 – 4 January 2014 : Ann Dowker ~ Derek Hyatt ~ John Kiki ~ Nick Miller | Art Space Gallery London. 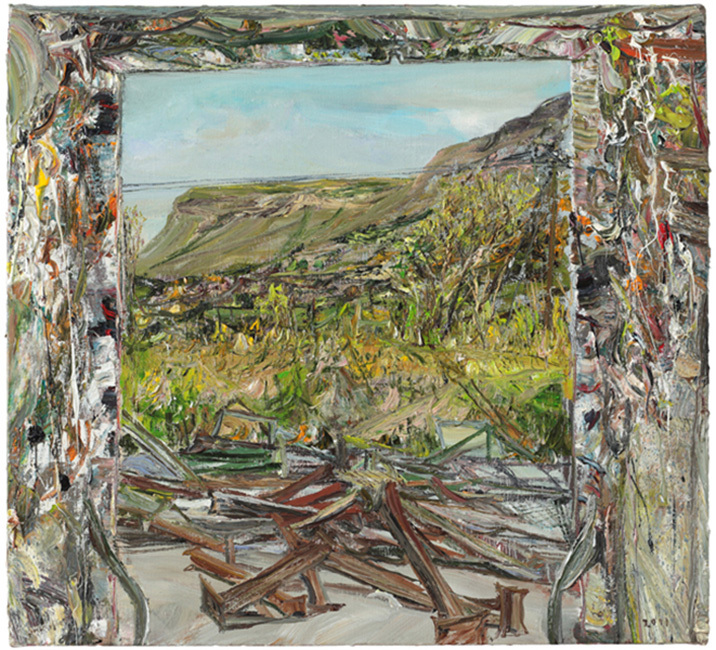 Michael Richardson Contemporary art.